It's very easy for some stories to be blown out of proportion. Mass sharing of false information happens frequently, and often users are the ones to respond, report, or reply to help stop the spread of incorrect news. 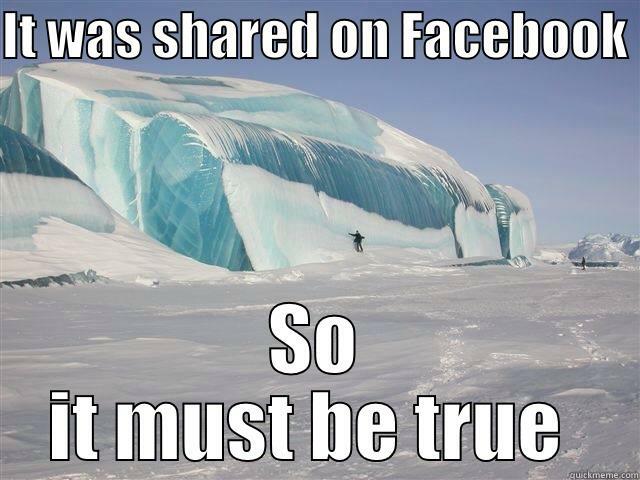 Did you see that post on Facebook? Is it a satire site such as The Onion or the Borowitz Report? Satire is a legitimate form of political commentary, but it isn’t meant to express the literal facts. Is it a nonpartisan site such as politifact.com or snopes.com? You can usually trust these. Is it from a major newspaper such as the LA Times, New York Times, Washington Post? These are usually fact-based. Editorials are opinion, but usually educated opinion. Is more than one news source reporting on the event or issue, or just one? Can you find peer-reviewed journal articles or library books about the general topic? Even though these may not contain information on specific very recent news items, you can get a good factual background from them.